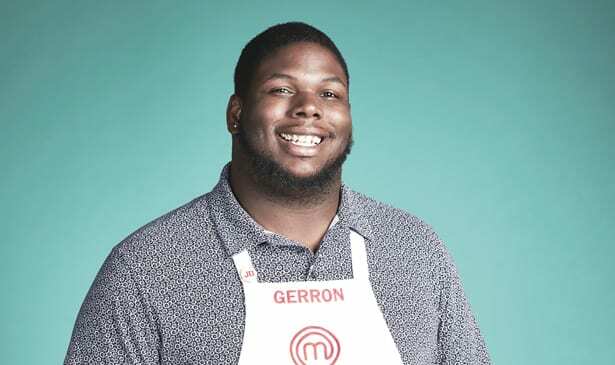 Nashville teacher Gerron Hurt is competing on Fox hit show MASTERCHEF. Last week Gerron earned a white apron, as he survived the ‘mystery box challenge’ which earned him a spot to further compete for the $250,000 prize and the title of MASTERCHEF. Last February the casting producers for the hit cooking competition show were holding auditions at the downtown Hilton Hotel here in Nashville, when Gerron and a long line of other hopefuls, brought some of their best dishes for sampling for the producers. “My fiancée convinced me to go to the audition. She was like, ’You cook really good babe, you should really go and showcase your food. And so, I just ended up going and one thing led to another,” Gerron tells the Tribune by phone. He wowed the casting producers’ palates with his scrumptious crab-stuffed salmon, with oriental cole slaw. A few weeks later he got the call with an invitation to come before the MASTERCHEF pre-show judges in Los Angeles. Gerron is a second-year teacher at Lead Academy High School, where he teaches twelfth grade English. The Louisville, KY native is a graduate of Western Kentucky University. The talented home chef has always had a love for cooking but says he was afraid to go to culinary school. “I grew up in a tough neighborhood. I have 7 siblings, but I was always the one in the kitchen. I would follow my mom’s every move and when she took sick, I stood up for the family and started cooking everyday by making sure my siblings ate, “recalls Gerron. Unfortunately, his mom died of cancer in 2013. Gerron says it was important for him to finish college and become a teacher because his grandmother was also a school teacher. In fact, she was the only one in his family to finish college. “My grandmother was a successful teacher, but I was afraid to become a chef because I was scared that if cooking didn’t work out, how would I pay my bills? So, I ended up becoming a teacher because that’s the security I saw in my life with my grandma,” he says.